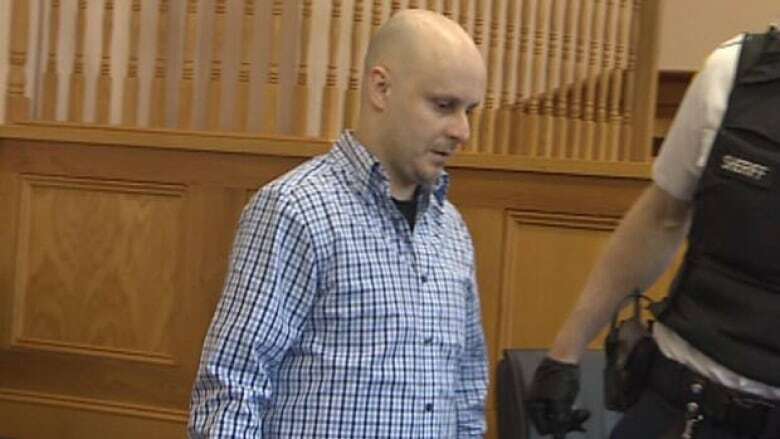 Accused murderer Trevor Pardy had a small victory in court that could see him get the lawyer of his choice for his trial. A man accused in the shooting death of his ex-girlfriend scored a small victory Wednesday that could see him get the lawyer of his choice at trial. Trevor Pardy, 36, has been charged with first-degree murder in the death of Triffie Wadman in October 2011. The shooting occurred on a cul-de-sac in the west end of St. John's. Pardy had previously rejected offers for senior legal aid lawyers to take on his case. He told the court he couldn't get the private lawyer he wanted at legal aid rates, which are about $60 an hour. On Wednesday, a lawyer for the Crown argued Pardy is not guaranteed the lawyer of his choice, but he does have a constitutional right to a fair trial. The Crown also argued Pardy has not proven that he can't get a fair trial with a legal aid lawyer. While Justice Carl Thompson acknowledged those points, he said Pardy doesn't fully understand the legal proceedings. "I can read the information, but I can't understand it. To argue this application is just beyond me," he told the court. Thompson ordered the Crown to pay for a lawyer, beyond legal aid rates, to argue Pardy's application. That application seeks to secure the same arrangement for his trial. Pardy has said all along that he would like defence lawyer Bob Buckingham to take his case. Buckingham said he thinks the judge made the right decision. "It appears evident that Mr. Pardy is unable to argue the law on his own behalf, and so I think justice was served by such a decision being made," he said. Buckingham previously made an offer to argue the application at legal aid rates, but the offer was turned down. He said he is no longer interested in taking the case at those lower rates. "That opportunity has now passed, and I think now we are just going to negotiate something with the attorney general if Mr. Pardy asks me to represent him," Buckingham said. Pardy is due back in Supreme Court in June.